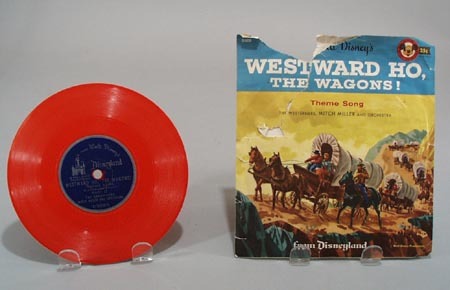 Walt Disney Westward Ho red record. 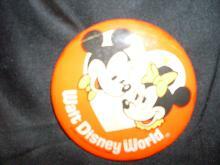 Walt Disney Westward Ho red record. The Sandpipers & Mitch miller and orchestra D308B. This shows the themland castle on it and on the back cover of the jacket, it shows a scene from the Westware Ho, movie. 1950 era, Official Mickey Mouse Club stamp on cover. Original price 25 cents. The record shows wear, but still is very good, the Jacket has missing paper and bends, see photos. 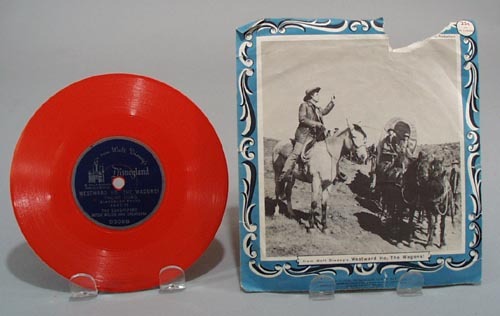 Record is 6"" and jacket is 6 3/4 x 7""
Items Similar To "Walt Disney Westward Ho red record."